Gert-Jan Segers, the leader of the Christian Union party in the Dutch coalition government said that his government should decline to provide support to Turkey in case of an attack against the country, although one of the principles of the NATO alliance is collective defence, De Telegraph newspaper reported on Saturday. Segers reminded that the Netherlands had previously sent Patriot missiles to support its NATO-ally Turkey in the early days of the conflict in Syria. But the situation has now changed according to Segers, as Turkey has become an aggressor in the region. In his opinion, Turkey crossed the line by its military incursion in Syria earlier this year to clear the northwest city of Afrin from the Peoples Protection Units (YPG). Turkey recognises YPG as a branch of the Kurdistan Workers Party (PKK), an armed group which has been fighting inside Turkey for more than 30 years. The Dutch leader said that his government should refuse to help, if Turkey in the future asked to invoke the Article 5 of the NATO treaty, which stipulates that other NATO allies must come to the aid of an ally under attack. “If Turkey demands from us to send forces in the future, we should say ‘no’,” Segers said. Segers also defended a firmer policy against Turkish President Recep Tayyip Erdoğan and his regime. According to Segers, facilitating the Turkish elections in the Netherlands has proved to be counterproductive for the integration of Turks living in the Netherlands, while it has been contributing to the legitimisation of the election in Turkey. 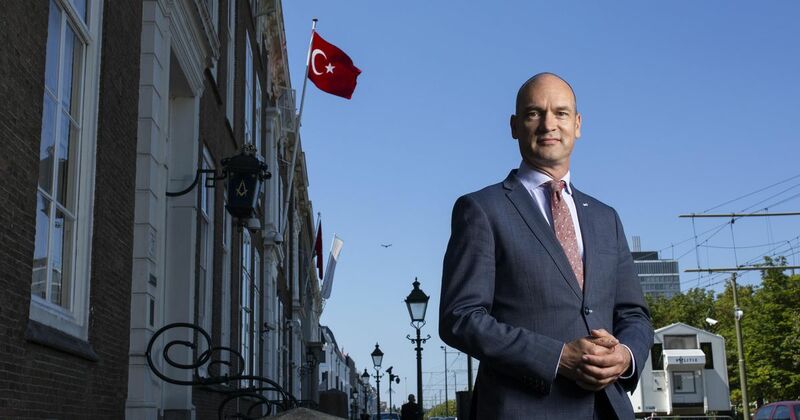 Segers criticised the Dutch government for congratulating President Erdoğan, after he was re-elected on June 24. In Seger’s opinion, the Dutch government refrains from reacting to Erdoğan properly, as it does not want to risk the refugee deal between the European Union and Turkey, which aims to stem the flow of refugees to Europe. The Dutch leader also called for an end to the accession negotiations between Turkey and the EU. Nederland moet zich veel harder uitspreken tegen het regime van de Turkse president Erdogan. Daar hoort ook bij dat wij zijn ’onvrije verkiezingen’ niet meer helpen organiseren. Dat zegt ChristenUnie-leider en coalitie-kopstuk Gert-Jan Segers. Hij vindt dat Turkse Nederlanders nu moeten kiezen bij welk land ze willen horen. Turkey’s President Recep Tayyip Erdoğan said the Turkish military had withdrawn its troops from a NATO joint exercise in Norway after his name and a picture of Turkey’s founder Mustafa Kemal Atatürk featured on a “table of enemies” at the exercise. “On this table (of enemies) there was Atatürk’s picture and on one side there was my own name. These were the targets,” he told a meeting of officials from his governing Justice and Development Party (AKP) on Friday, according to broadcaster CNN Türk. Erdoğan said he had been informed of the issue by Turkey’s chief of staff and European Union minister, who were travelling together to Canada at the time. “We cannot have this kind of alliance, these kind of allies,” he said. NATO said the officer who had chosen Erdoğan as a target had been thrown out of the army and that the person who had chosen the picture of Atatürk had been a technician. In 2006, a minor diplomatic incident broke out over a NATO seminar at which a map of the Middle East incorrectly labelled part of Turkey as Kurdistan.